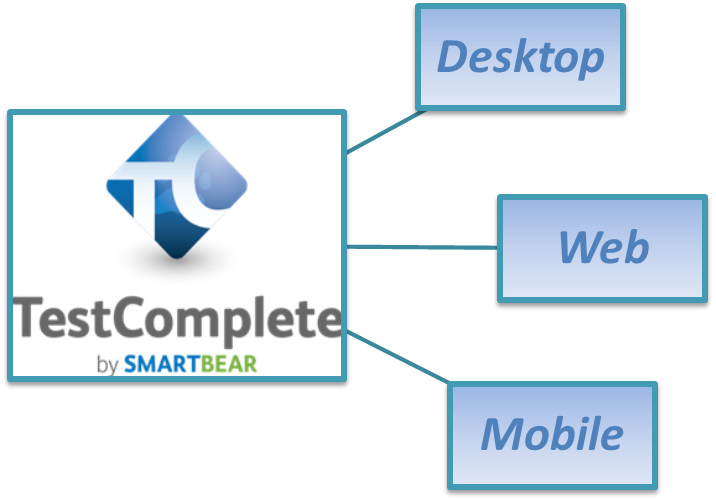 An automated testing tool by SmartBear – TestComplete is a comprehensive product with umpteen features and capabilities to make it one of the most liked testing tools encompassing a variety of applications like Desktop, Mobile Web and RIA with technologies like .NET, Java and more. It is considered to be an automated testing tool which is apt for novice testers as well as advanced and its umbrella of test types consists of Unit, Functional, Regression, Data-driven and many more. With the passage of time, this wonderful tool has made sure to incorporate the latest and upcoming trends and technologies, keeping it at bay with today’s fast paced IT industry. A perfect buy for the price, TestComplete is easy to get started with and offers a lot of functionalities. TestComplete Platform includes Test-complete Web, TestComplete Desktop and TestComplete Mobile thereby allowing automated testing for of the above mentioned platforms. As for Desktop application testing, you can create robust tests at object level so that regression testing doesn’t fail even with the change in GUI. .NET applications can be tested thoroughly through scripts calling various java and .NET classes directly. Windows API can also call DLL and WMI functions. 3rd party control tools like Telerik, Sync fusion, Microsoft etc. can be used and testing apps on virtual machines or on cloud is also feasible. For Web apps, TestComplete Web supports Selenium, in which a single test of code can be utilized for cross browser testing. Selenium Web Driver also provides a huge advantage by allowing TestComplete to execute the web driver’s tests. With the usage of just one test, testing across multiple mobile apps can also be done. It is similar to desktop version but with a surplus of 3rd party controls availability. In the case of Mobile testing, TestComplete Mobile allows users to test varied apps that include native, web iOS, Android and hybrid apps, also with iOS8 and Apple’s new programming language Swift. For mobile apps, gestures can be recorded and executed for testing. Cloud testing is viable leading to reduction in expenses and hardware usage. TestComplete Platform helps you to create accurate and repetitive automated testing swiftly on different devices, platforms and environments. There is availability of a simple Record and Playback functionality which can be availed by novices as well as experienced testers. A feature ‘Test Visualizer’ identifies the changes done by capturing the screen shots of every single operation performed which in turn, helps in saving time for the developers while debugging. TestComplete’s accessibility to internal objects and application properties provides increased test coverage and unique test logic from the base test data. Diverse checkpoints are available for verification of operations. As a part of automated testing, Regression testing is also very much possible, to ensure enhanced quality. Similar to QTP and other tools, TestComplete lets you test at GUI and API level with the help of integration with Soap UI, Service V to name a few. Because each of them – Desktop, Web and Mobile platform, has individual licensing costs, it is cost effective to purchase the one which is needed. This is sure to save out on initial investments and maintenance costs in future. There are possibilities of executing automated testing on distinct workstations simultaneously, without buying a separate license for each individual machine. Yet another feature which can further reduced costs is Cloud testing. With its simplistic continuous integration feature, TestComplete turns out to be easily accessible and usable. Jenkins plug-in can be used to launch and perform the necessary tests. The test logs and bug reports can be automatically attached to popular bug tracking tools like JIRA etc. Soap UI, Service VPro etc. can be used for creating functional API tests to be integrated with TestComplete. Integration with different source control systems like CVS and Microsoft SCCI compatible systems is possible. Also, integration with HP QC, AQ time etc. would help in improving the quality of automated testing applications especially for developers. SPEC INDIA, your testing partner, offers a range of QA and Manual / automated testing Services encompassing the entire software release lifecycle. With a stringent focus on quality and processes, we have been implementing several testing projects in a multitude of technologies. Visit https://www.spec-india.com/services/software-testing-services.html to request for a Free POC to test drive our services.